So... Cynthia's out of town this week for work, she'll be back a little before Christmas. In Sienna, they were selling ricciarelli all over the place, they're a traditional Christmas cookie of the region. I'm baking up a big batch of them, some with a little ginger and cinnamon added, and some with cocoa. 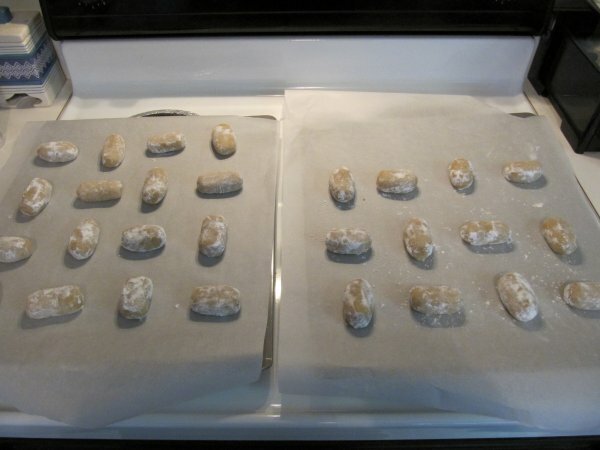 I'm about to stick them in the oven, so we'll see how it goes, but they look like they've turned out AWESOME.